What if my insurance estimate is lower than your estimate? This is true in most cases, insurance companies cannot write for 100% of the damage if the vehicle is not at a repair shop and disassembled for inspection. JMK | Celebrity will use your preliminary insurance estimate as a starting point. Once your vehicle is in our hands, we will perform a blueprint of hidden damages and schedule your insurance company to reinspect all the damages. They will then add an amendment to the original insurance estimate for the hidden damages and factory procedures required to repair your vehicle back to manufacturers specifications. Am I entitled to a free loaner car? Unfortunately, loaner vehicles are reserved for BMW service and warranty repairs with an average repair time of 24 hours. Most insurance policies will cover a rental vehicle, if you do not have this coverage on your policy, we recommend you have it added. Costs for such coverage per year is minimal but can be most helpful while your vehicle is being repaired. Please note, most rental policies only cover costs for a maximum of 30 days per claim, the insured may accumulate out of pocket expenses with high severity repairs. You will need to find out how much daily coverage you are entitled to under your policy. Most state laws require insurance companies to provide a comparable vehicle during repairs, comparable by definition is referring to seating capacity and not type of vehicle in most cases. We have an enterprise office on our premises, and they can direct bill most insurance companies. How is payment arranged for my claim? We do have direct payment arrangements with most insurance companies. If your vehicle is financed or leased, it may have a lien holder on it and it is your responsibility to have it endorsed before your repairs are done unless the lien holder is BMW financial services. You are responsible prior to picking up your vehicle for any payments from your insurance company which were sent to your home address and any insurance deductible if applicable. All paint and body repairs are covered for the lifetime that you own your vehicle, this excludes any damage caused by normal wear and tear and/or any road hazards that may have affected the area repaired. All replacement parts carry a manufacturer specific limited warranty. JMK | Celebrity Collision Center takes great pride in our repairs, rest assured we put quality first and stand behind it and our customers. 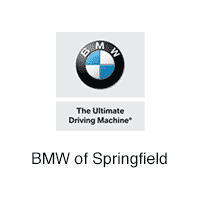 Vehicles repaired at our BMW Collision Center cannot be delivered through our Service Department.